The song ‘Ajooba’ was shot at The Great Sphinx Of Giza, Giza, Egypt. The movie is all about Vishu and Ramu who are a pair of Indian twins living in America with their father, Rajamani. Madhumita (Aishwarya Rai) and her brother come to America to get medical treatment for their ailing grandmother. Vishu falls in love with Madhumita, and the couple has everyone’s blessing, except for Rajamani, who is estranged from his own twin brother. He only wants his sons to marry twin sisters, so Madhumita pretends to have a twin in order to please him. As Madhumita puts on a charade by creating Vaishnavi, all goes well, until Ramu falls in love with Vaishnavi. Now the truth must come out, before Madhumita has to marry both of Rajamani’s twin sons. The Song ‘Suraj hua madham’ was shot in Bahriya & The Great Pyramids, Giza Plateau, Giza Egypt. The movie is all about YashwardhanRaichand who is a man who has always followed traditions. He believes that the parents take the best decisions for their children. So when his foster son Rahul falls in love with a peppy middle-class girl Anjali, Yashwardhan disowns him. This creates a rift between the two egotistical men. Rahul marries Anjali, moves to London with her and her younger sister Pooja. Years later, Rahul’s younger brother Rohan arrives in London, determined to reunite his family. The story revolves around Mr. Varma who is a very wealthy businessman and would like his only daughter Ayesha Verma to be married to his business associate Chopra’s son Raman Chopra. But soon Ayesha starts to attend college and falls in love with Ajay. Ajay is responsible for the College’s security and has many enemies, one of which is Bhai-Jaan who threatens to have him eliminated after the festival of EID is celebrated. Due to Ajay’s hot temper, Mr. Varma disapproves of him as his son-in-law, but Ajay is dedicated to winning his love, Ayesha and will do so under any condition. 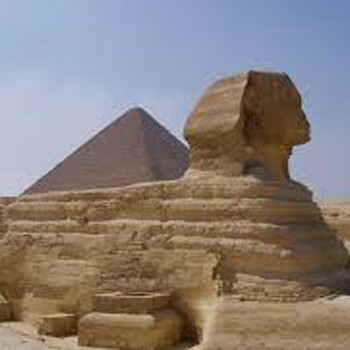 The song ‘Teri ore’ was shot at The Great Sphinx and Pyramids, Giza, Egypt. The song ‘Jee Karda’ was shot at The Mortuary Temple of Hatshepsut – Deir El Bahri, Egypt. The story is a comic caper about Happy Singh, a Punjabi villager who goes through a series of misadventures and eventually becomes the King of the Australian underworld. 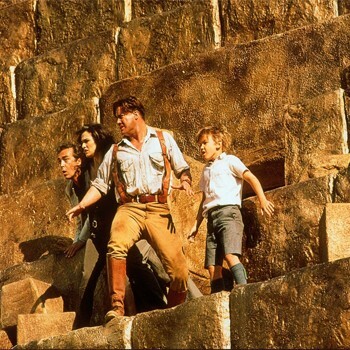 Most of the movie was shot all over Egypt showing the beautiful country. The story is about an American serving in the French Foreign Legion on an archaeological dig at the ancient city of Hamunaptra. An English librarian called Evelyn Carnahan becomes interested in starting an archaeological dig at the ancient city of Hamunaptra. She gains the help of Rick O’Connell, after saving him from his death. What Evelyn, her brother Jonathan and Rick are unaware of is that another group of explorers are interested in the same dig. Unfortunately for everyone, this group ends up unleashing a curse which been laid on the dead High Priest Imhotep. Now ‘The Mummy’ is awake and it’s going to take a lot more than guns to send him back from where he came from. This sequel to The Mummy was also shot all over Egypt and once again showcased the beautiful country. Many years ago, in Ancient Egypt, the Scorpion King led a menacing army, but when he sold his soul to Anubis, he was erased from history. Now he is only a myth…or is he? Rick and Evelyn O’Connell are still discovering new artefacts, along with their 8 year old son Alex. They discover the Bracelet of Anubis but someone else is after the bracelet. High Priest Imhotep has been brought back from the dead for a second time and wants the bracelet to control the Scorpion King’s army. Imhotep has Alex and with the bracelet attached to him Alex doesn’t have long to live. Rick & Evelyn must save their son.